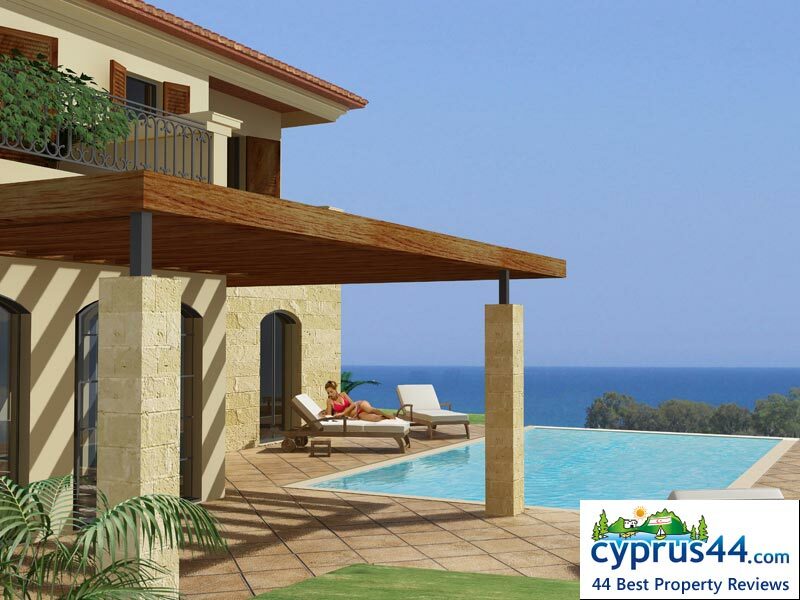 Monarga Sea Cliff is one of the best properties listed in Cyprus44 property reviews. 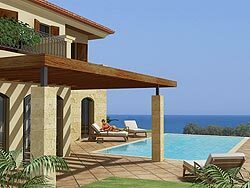 The Sea Cliff development from Monarga developments is further in towards the unspoiled Karpas peninsula just beyond the town of Bafra, a prime position for North Cyprus property buyers who love both deserted beaches and breathtaking scenery. Yet here on the mountainside of Mehmetcik, you are still within easy reach of the elegant town of Kyrenia, and just a few miles from the bright lights of the casino resorts. Monarga Sea Cliff development is built on Turkish Title Deed so it is risk-free investment. 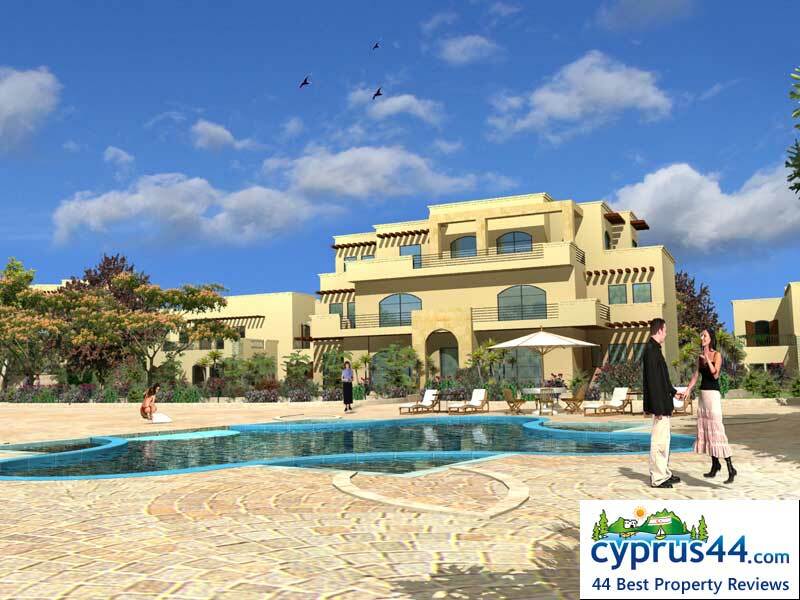 The Sea Cliff development offers a wide variety of desirable North Cyprus properties, from garden apartments to detached villas, all basking in the 300 days of Cyprus sunshine a year. The properties are arranged on a U-shaped site that is spacious without losing that all-important community feel. Properties on the outside of the site can opt for their own swimming pools, while those at the heart of the site share one of the four open air swimming pools, ideal for families with kids wanting to make new friends. The two bedroom garden apartments (type E) enjoy both a private terrace and a private garden area, and a delightful master bedroom with ensuite. The kitchen and dining area merge into the living space, for an open-plan space that make entertaining family and friends a joy. The semi-detached houses (type A) are a must for those who love a balcony for each first floor bedroom, plus the luxury of both a bathroom and a separate shower room. Downstairs, the large and airy living space opens out onto a terrace area and a private garden. The fitted kitchen is separate from the living space, an unusual feature in new-build North Cyprus properties, and ideal for those who prefer to keep the washing up out of sight for as long as possible! The Sea Cliff site also boats a wide choice of facilities that are the hallmark of a Monarga development, including a fitness centre with sauna. 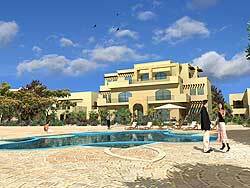 You can relax in the resident's club, play your neighbours at snooker, watch a film with friends, or just enjoy a Turkish coffee whilst emailing pictures of yourself in North Cyprus to all your jealous friends back home! The kids can play in the activity centre, and you can stock up on essential supplies from the onsite mini market. It'll be a struggle to leave the wonderful views from your Monarga Sea Cliff villa or apartment, but perhaps a regular shuttle service to the nearby casino might tempt you! Here you can play the tables, enjoy great entertainment, and dine out in the casino's fine restaurants - and not worry about driving home after one cocktail for the road. No posts found related to Monarga Sea Cliff. This web page is served on 19 April 2019 at 23:15:37.